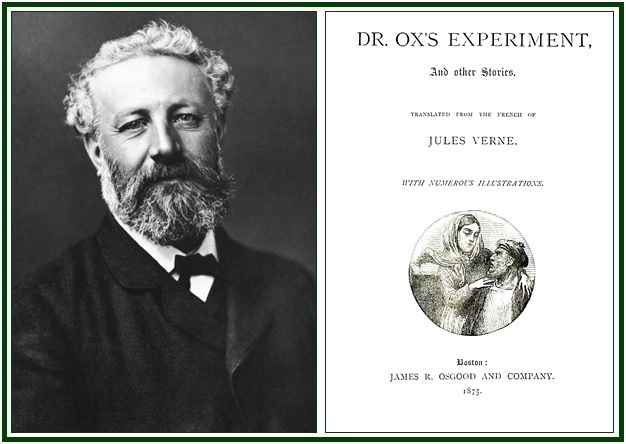 Jules Verne and the opening page of “Dr. A similar paradox will be detected in the works of Jules Verne, which have numerous points of interest in Theosophy. One of them is his critical examination of technocratic science and the dangers it creates to the future of mankind. Another common ground is given by Jules Verne’s several prophetic anticipations of the progress of science after the beginning of the 20th century. Such an affinity between Verne and the esoteric teachings is easy to find in the book “Dr. Ox’s Experiment, and Other Stories”. “The Mahatma Letters”, original editions, Letter XI, page 63. See in our websites “The Mahatma Letters”. The book “Dr. Ox’s Experiment, and Other Stories” was published in our associated websites on the 4th of March, 2019.